Fiber Internet from CenturyLink is delivered over a fiber-optic network and delivers Fiber Gigabit speed. (Maximum download/upload speed of up to 940 Mbps via a wired connection). No matter how you measure it, though, CenturyLink Fiber Gigabit Internet is a faster way to complete nearly any online task (listed speeds may not be available in your area). How does fiber-optic internet work? Instead of relying on copper telephone cables like DSL internet, fiber-optic internet transmits signals via a network of glass wiring. Fiber-optic signals move at light speed, which is why fiber internet gets you faster speeds. While not all fiber networks offer Fiber Gigabit speed all fiber gigabit plans require a fiber-optic connection to achieve such high speeds. How Fast Is Fiber Gigabit? Whatever you like to do online—stream HD movies, game, share photos, or just surf—CenturyLink Fiber Gigabit lets you do more of it, faster. Using estimated bandwidth by minute, see approximate times for how long it takes to download your favorite applications. **Assumes HD-quality video streaming consumes data at a rate of 2 GB/hour, streaming audio/radio consumes data at a rate of 75 MB/hour, an average web page is 2 MB/hour, and social media pages consume data at a rate of 350 MB/hour. Please be advised that the values provided should only be used as a general estimation, as download speeds may vary by device, by type and by quality of content. Is CenturyLink Fiber Internet Available in Your Area? As the fastest CenturyLink internet available, fiber-optic internet is in high demand, which means its network is spreading rapidly. Currently, CenturyLink fiber Internet with Fiber Gigabit speed are available around the country, from Portland, OR, to Columbia, MO. Check the table to the right to see if you can bring fiber gigabit home today. If you can’t get fiber in your neighborhood yet, don’t worry. 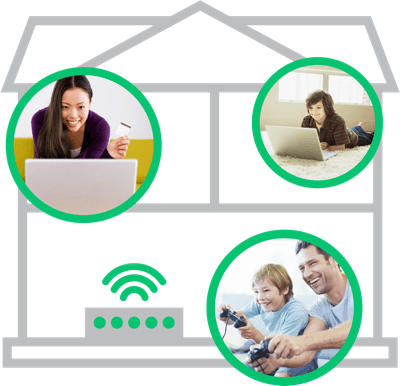 CenturyLink offers high-speed broadband options in 37 states. With CenturyLink Internet, you can choose from speeds up to 10 Mbps, 20 Mbps, 40 Mbps, or 100 Mbps—and it's no contract and you don't need to bundle with other services to get a reasonable rate. Speed may not be available in your area. Maximum download/upload speed of up to 940 Mbps via a wired connection. Internet speeds will vary due to conditions outside of network control, including customer location, equipment, and access through a wireless connection are not guaranteed. See centurylink.com/InternetPolicy for additional network performance information. Get fiber gigabit speeds in select cities across the country. Up to 10 Mbps, 80 Mbps, or 100 Mbps also available. With Price for Life from CenturyLink. CenturyLink Fiber Internet comes with more than just blazing-fast speeds that can support practically any number of users and devices with virtually no lag time. Any CenturyLink internet plans, Fiber gigabit plans included, round-the-clock, easy-to-access tech support from a real person, not a robot. Get in touch with a customer care representative and technical wizard 24/7/365. 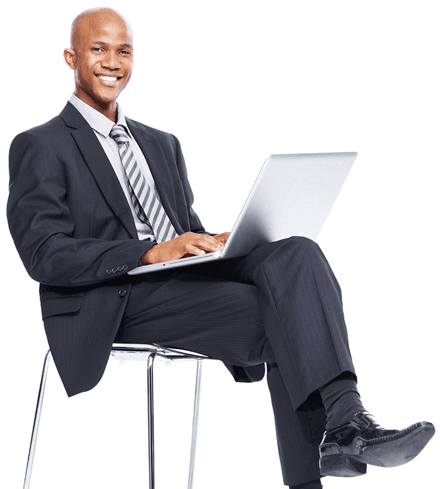 CenturyLink Internet also includes access to CenturyLink @Ease, the CenturyLink technical support program that gives you PC support, including antivirus protection from Norton, one of the most trusted names in the business. Basic CenturyLink @Ease is included at no additional charge, though you can upgrade to plans with higher security levels, including identity theft protection and secure cloud storage, for an additional monthly fee. Best of all, no matter what CenturyLink internet speed you choose, there are no rate hikes and no contract by getting CenturyLink Price for Life. With this offer, you maintain the same monthly rate for for as long as you keep your Price for Life plan. 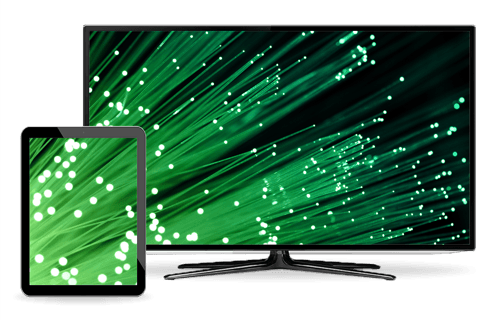 Why Do You Need CenturyLink Fiber Internet? Stream multiple HD movies at once—stop fighting over what to watch. Save on mobile data—let family and friends use your Wi-Fi to avoid data caps and throttling. Is Fiber Internet Good for Business? Local presence and support—work with a locally based team for troubleshooting and technical support. Future-proofing—Fiber Internet gives your business and technology room to grow right now. Simplified connectivity—no need for multiple connections or equipment upgrades.